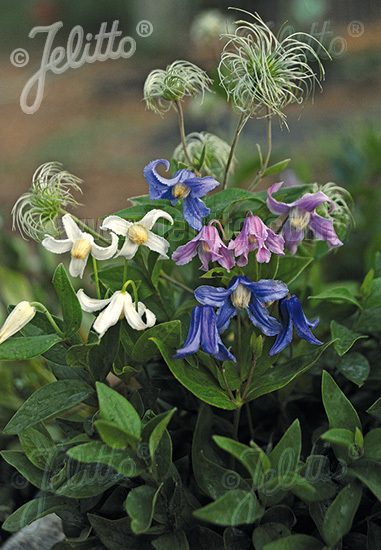 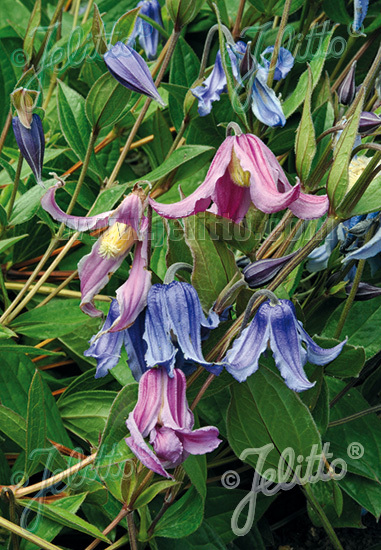 Special Features: Perennial, compact CLEMATIS, with bellshaped, large blossoms. 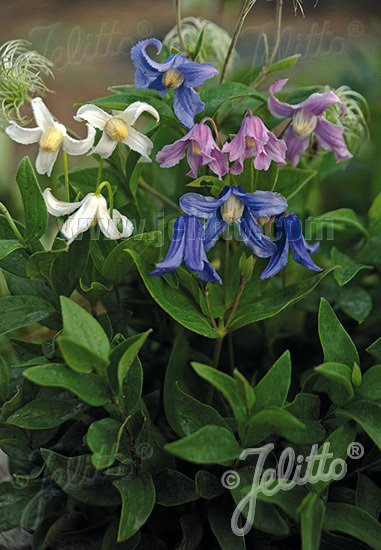 All varieties, wide spectrum of colors, cream white, lavender, purple and blue. 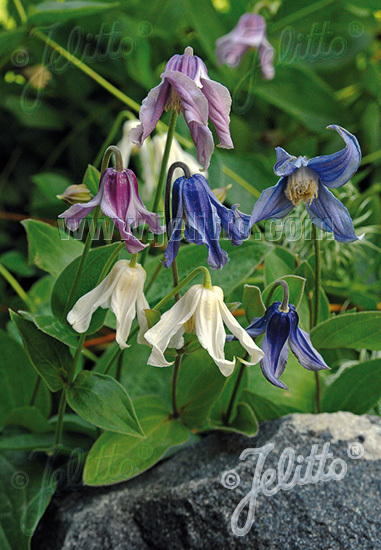 Mongolian Bells® are very attractive a solitary plant. But you also have plenty of vitality and drought-resistance for a use as a ground cover.